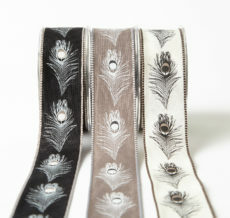 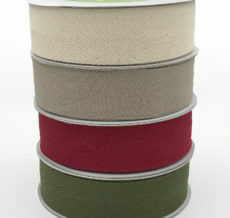 May Arts Cotton Ribbon is available in a variety of styles and widths. 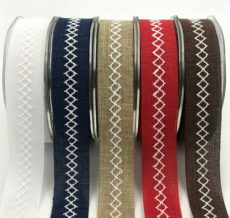 Perfect for dying or stamping to match any project. 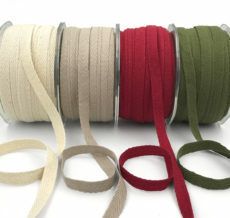 Use it for fashion accessories, scrapbooking, embellishing handmade cards, gift baskets, hair bows and bands. 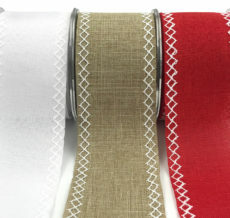 A perfect trim for sewing as well as home decor projects.